At one thirty in the morning I heard him coming our way. Little feet walking down the hard wood hallway mixed with the rattle of his beloved caterpillar which he held in his arms. Usually he is half asleep as he touches my shoulder to get into our bed, but this morning he was more awake, all grins. 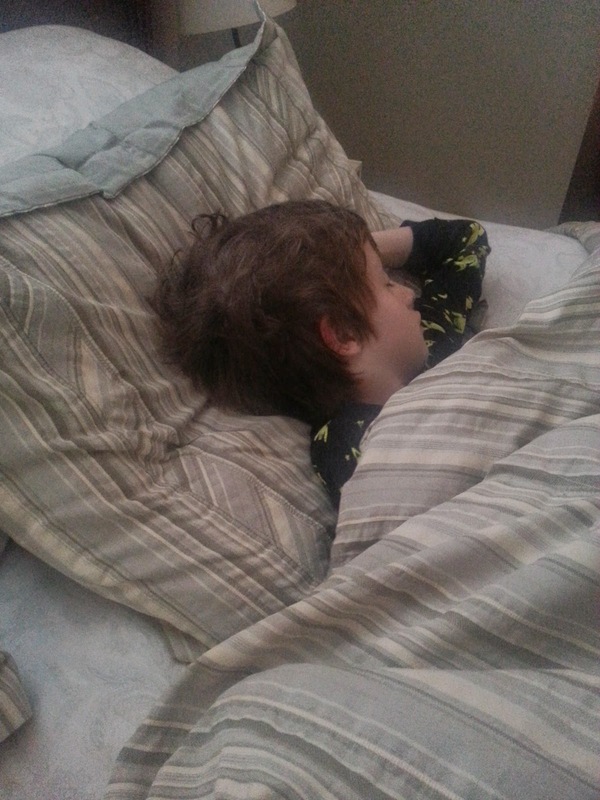 I kissed his head, pulled him over my body and tucked him in to our bed where he promptly fell back asleep. We sometimes half-heartedly tell him he should really try to stay in his own bed all night. I mean, he should, right? I guess. He is growing up so fast. Sometimes I look at him and it's hard to see the baby or toddler or preschooler he was just months ago. He has grown up so much since the start of school. I tell myself the fact that he easily goes to sleep in his own bed is good enough. One day soon he will wake up in the night and decide he would much rather just stay put. Of course it happens sometimes now, and when it does I wonder, "Is that it? Are the 'Mama, can I sleep with you?' days over too?" But a night or two later he is back, and I am happy to see him. My middle of the night hugs and kisses can continue for a little while longer. 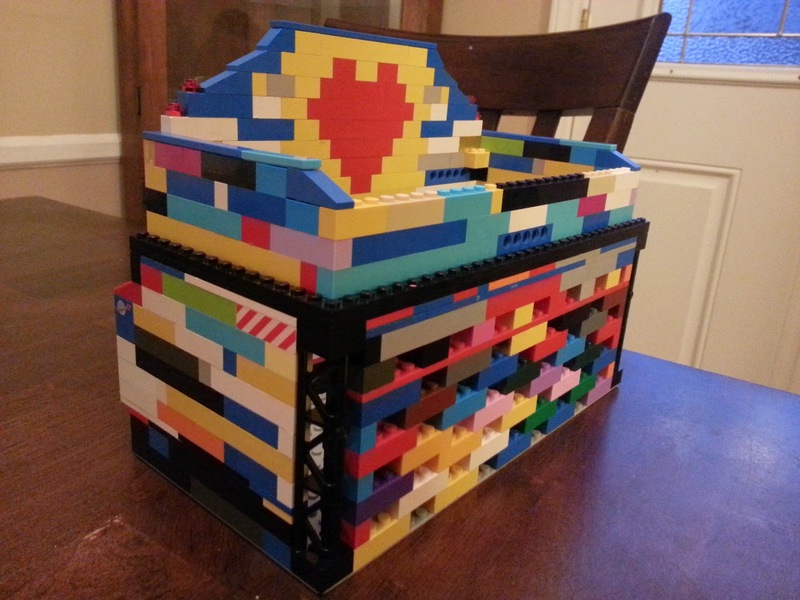 I was thinking this morning as I packed his lunch about the life I envisioned in the moments after he was born, as the doctor told us he was a boy. A boy. Pictures of playing in the dirt and jumping off swing sets filled my mind. No time for hugs and kisses, he was a boy. A BOY! 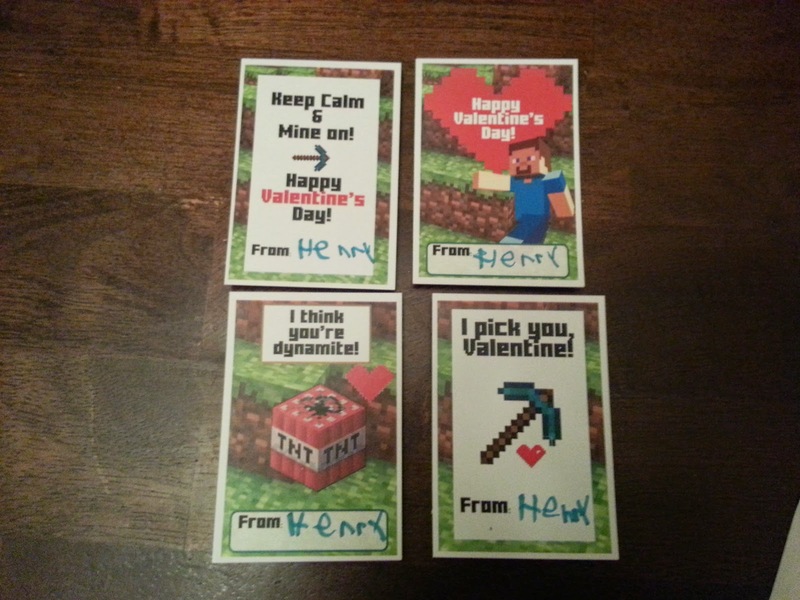 How full my heart was with just the idea of him, while I had absolutely no idea what having a boy, or really, what having our Henry would be like. He is so full of hugs and kisses. So full of love. He is cautious, and careful. He is thoughtful and compassionate. He loves being outside but doesn't necessarily love being dirty. He loves playing tball but is just as happy playing kitchen or drawing pictures. He loves puppies and kitties, legos and video games. He has such an amazing imagination and can play with his toys, just him on his own, for ages. He loves making up stories and reading books. Oh how he loves his cousins and his friends. He is uniquely himself, and god, I love every single inch of him. Sometimes so much it literally hurts my heart. You are getting so big, kiddo. And yet you will always and forever be my baby. 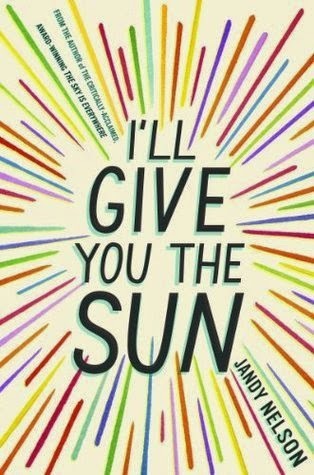 I'll Give you the Sun by Jandy Nelson- Holy geez I loved this book. This is told from alternating perspectives of boy/girl twins. The chapters by Noah are when he is 13/14 years old and the ones by Jude are when she is 16 years old. So, while the chapters go every other between the two characters, the story jumps back and forth three years in time. I know the age of the characters seem young, but this book is beyond amazing. 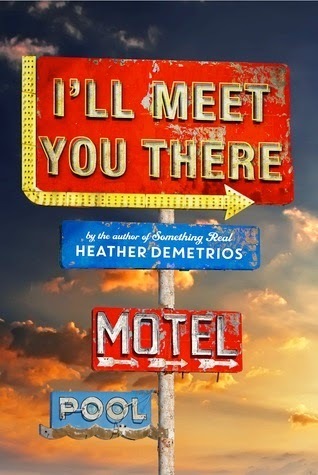 I'll Meet you There by Heather Demetrios- This one is about a girl trying to escape her tiny, poverty stricken town and a boy returning home to that same town after getting injured as a Marine. It's really good, not amazing, not the best book I have ever read, but definitely worth the read. 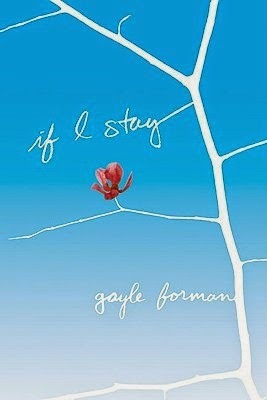 If I Stay and Where She Went by Gayle Forman- So this was a two book series, and it is one of those rare events where I much preferred the second book. The first is the story of Mia as she decides to stay in the life or move on after a devastating accident that kills her family. It's unusual and sad and somehow still a good book. The second, Where She Went, takes place three years later and is narrated by her boyfriend from book one. I liked it more, although maybe it's because book one was just a little too sad for me. 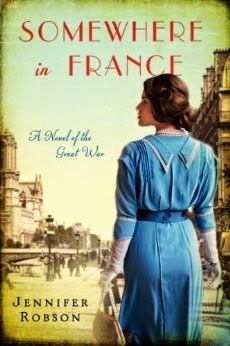 Somewhere in France by Jennifer Robson- This book was almost so good! At first I loved it, thinking I had found this great historical fiction/ Downton Abby book about a Duke's daughter who breaks away from her wealthy family to live on her own and support the World War I effort by learning to drive then becoming an ambulance driver for the war. It started out strong, but then I was pretty far in the book when I discovered it was a romance. And, not that I have a problem with that, I mean the Outlander series is one of my favorite series of all times, but I DO have a problem with it when screens are written that seem completely out of character and odd just to get THAT SCENE worked in. It was disappointing honestly. 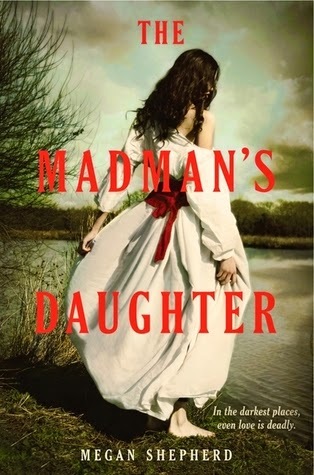 The Madman's Daughter by Megan Shepherd- Meh, this was sorta okay, but not okay enough for me to read the other two books in the series. On the one hand, it was a take off on The Island of Dr. Moreau, and that aspect of it was interesting. But it was a little too young adult-ish for me to really get into. And that's saying something since I typically love me some YA lit. I am sure I will have other things to blog about soon. For now we are rather enjoying being stuck at home all together. 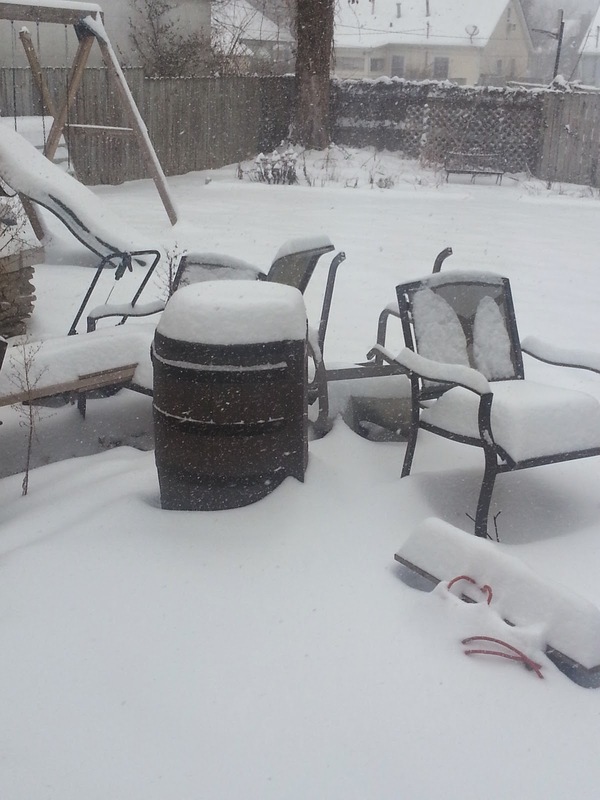 So, a foot of snow later (10 inches Monday, another couple this morning) are we are fairly stuck. School has been canceled for the rest of the week and I am working from home. Nick helped Henry get ready to go out in the snow. 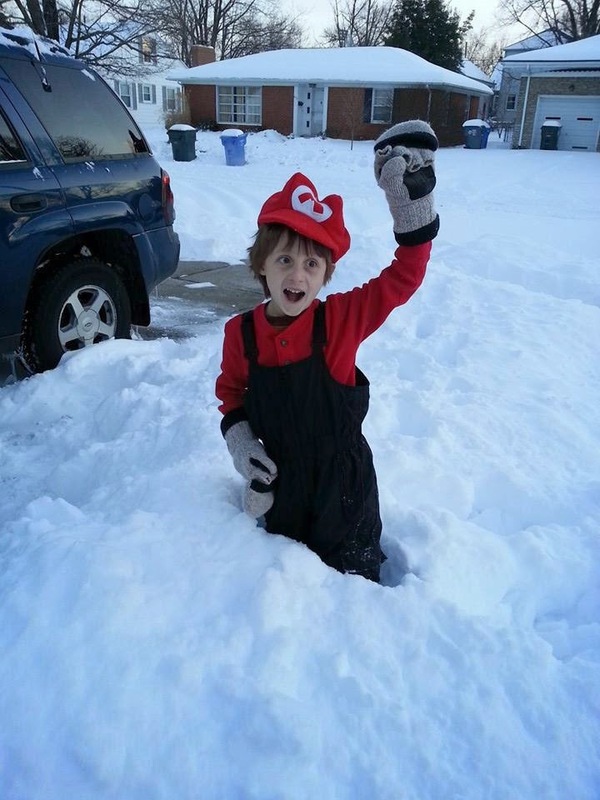 They were both pretty tickled with his snow attire. Things could be worse. I made it out of the house yesterday to pick up a prescription, but it was not easy going. We have lots of milk and bread... and other food because what do you make with just milk and bread? Nick headed back in to work today but Henry and I are staying in since temps are dropping to -15 tomorrow (!!) 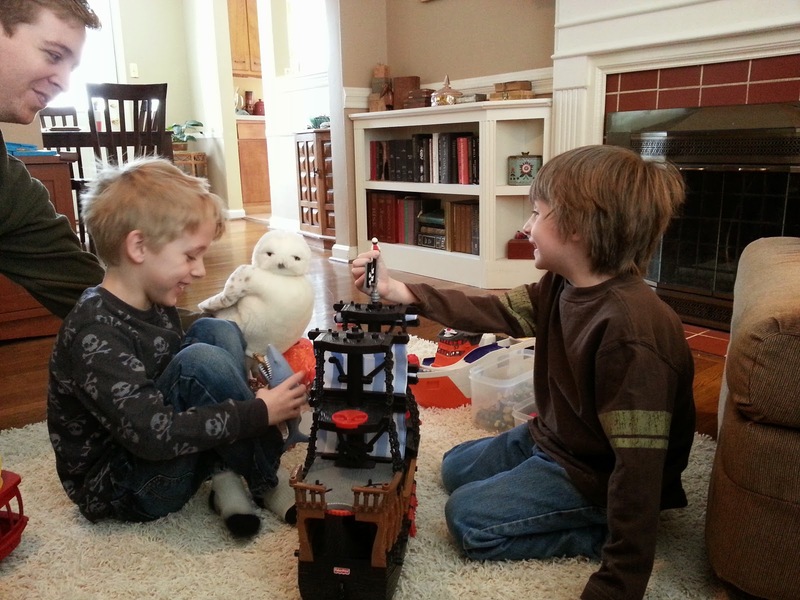 The Cabin fever will be intense by the weekend! 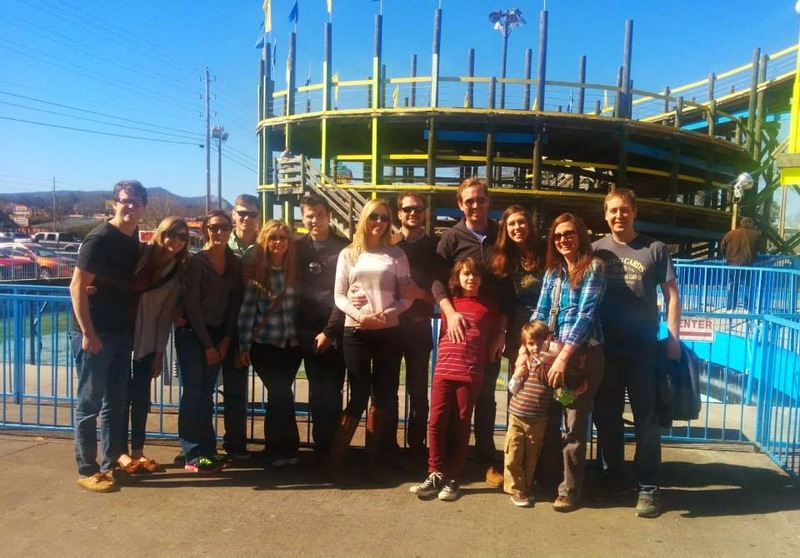 Speaking of cabin fever, I pulled up this picture of us on this weekend last year, enjoying a trip to the mountains for Cousin Cabin Weekend. 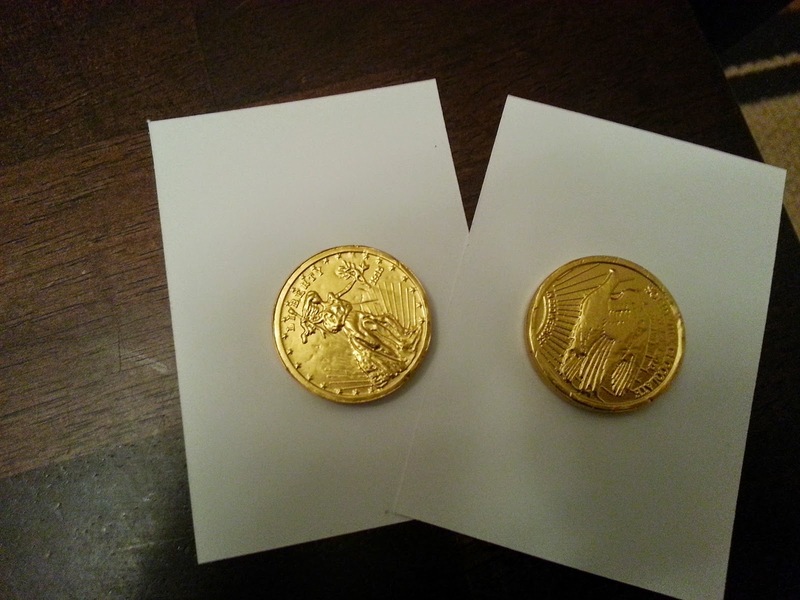 How lucky were we?? SHORT SLEEVE SHIRTS! NO COATS! NO SNOW! When we went to bed there was no snow at all. 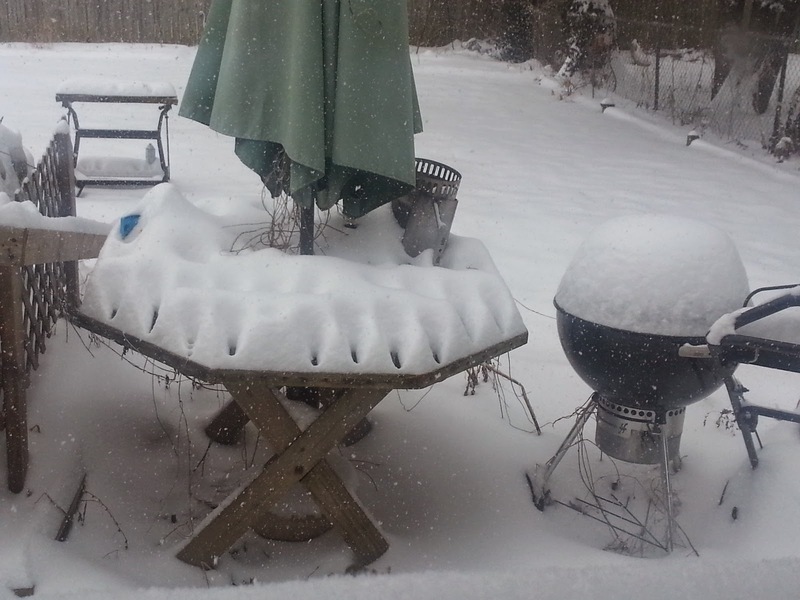 As of right now, before noon, it looks like this. We are all three warm and cozy inside the house, I am working on a lecture for tomorrow that will most likely be canceled while Nick and Henry are watching Teenage Mutant Ninja Turtles 2. 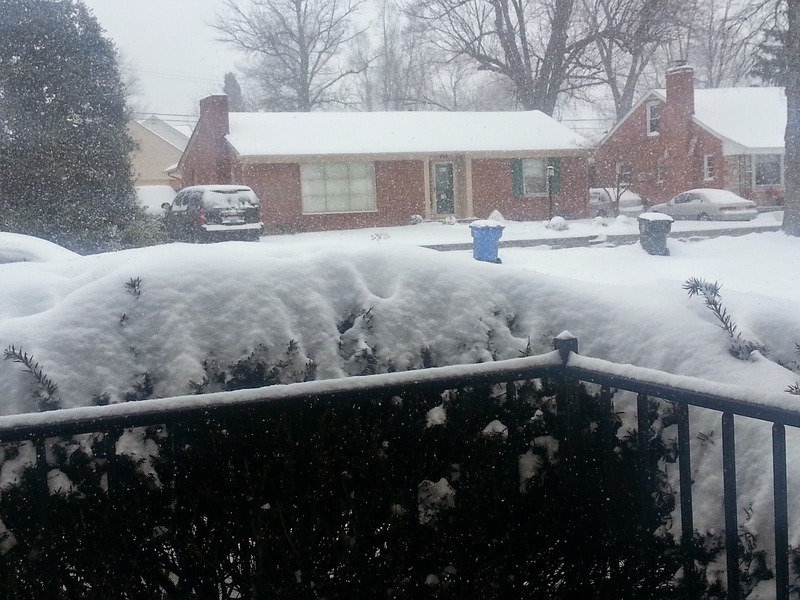 The weather man says we will most likely break 10 inches before the end of the day. In a few days I may have cabin fever, but for now I am loving every second of it! 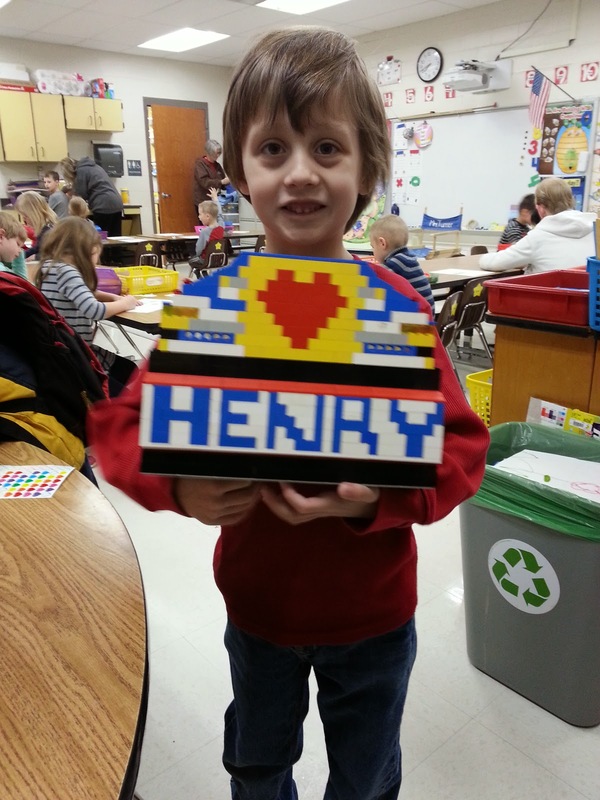 Henry can't seem to catch a break when it comes to Holidays and Kindergarten parties. He missed his Halloween party because he was pitifully sick, and now, at 11:15am, I am working from home while he still sleeps, once again, pitifully sick and at risk of missing another holiday party. And he was just so proud! And excited! And... so NOT wanting to miss the entire day sick in bed. Here's hoping any minute now he wakes up and fifteen hours of sleep was all he needed to be totally back to normal. I mean, it could happen... right? I gave my first exam on Tuesday and for some reason I thought it seemed like an excellent idea to have it held online. I remember thinking "If it's online, I won't have to do anything!" Anyone who has held an exam online is currently laughing at me. While a fair chunk of my day was spent putting out student fires, another large portion of it was spent obsessing over the grades as they came in. YOU GUYS. Do you know how much I love tests?? DO YOU?? (I am so weird). And while I was a student I could get sucked into the statistical analysis of my own grade, but that can only last so long. BUT. With 150 students... oh my word, the statistical manipulations are endless. ENDLESS FUN. All that is to say, I am now 25% done with my first semester of teaching and I am really enjoying myself. I have only had two students drop the class, and for the most part they are still showing up (because it counts towards their grade... I am no fool). Every week I am managing to find youtube videos to show them, plus my streak for finding pictures of random fictional characters I love who look like they are asking a question for my "Questions?" slide is going strong. Today's character? I haven't taken a poll or anything (MAYBE I SHOULD!) but I feel like things are going well. Thank you to everyone who sent messages of support to our family this weekend. They mean so much to us all. Nick, Henry and I spent the weekend together, just sorta closing out the rest of the world. Everyone grieves differently and we have found this way works best for us. 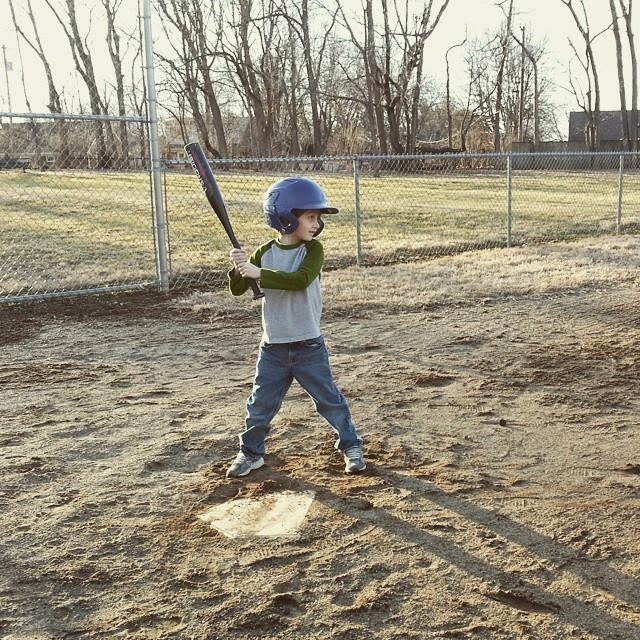 The weather was amazingly nice here (sorry New England) and so on Saturday when Henry asked if we could go to the tball field we decided that seemed like a great idea. This boy...he sure helps to heal our hearts. Sunday will mark two years since we lost our sweet Missy. Leading up to this week I felt okay. I thought it might not be as hard as it was last year. And I guess it isn't exactly. It is at least very different, although hard in it's own ways. I have not obsessed with what was happening two years ago at this exact moment the way I did last year, and for that I am grateful. But with each passing day I have felt this tightening around my heart as it breaks a little more, again and again, over our families greatest loss. This morning it once again became a little hard to breath, the grief literally stealing my breath as it pressed on my heart. I have began to notice that Henry doesn't remember his Aunt Mimi like he used to. He does remember her still, but not clearly, not like before. The telling and retelling of stories keep her real to him, but I see that she is becoming something so far into his past that he cannot quite hold onto the real her versus the stories of her. And that absolutely shatters my heart. Days and weeks and months have passed. And now years. Years is plural too. Two years since I last kissed her face and told her how very special she is to me. Two years since she held the babies. Two years since our family was complete. 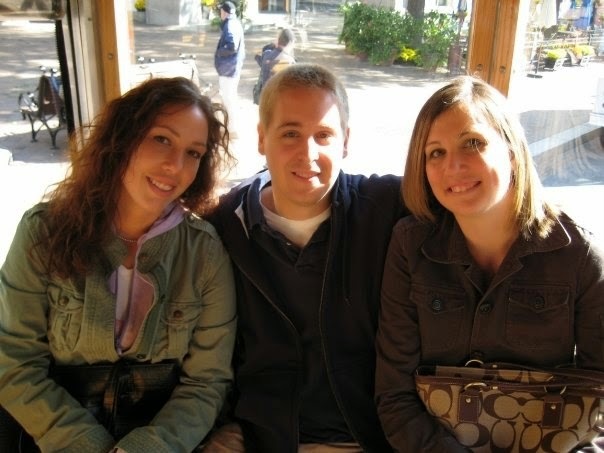 Two years of moving forward in time, of living our lives without her here. And it is okay, we are okay, but damn it, it hurts like hell. Some days more than others, and today is a really really hard day. I miss you every single day. There is less light in my life without you here. There is less light in all of our lives. You are beloved and you are so very missed. Actually, it's because I only ever think to do a blog post when I read a REALLY good book. And sometimes lots of books that are just okay come and go between those events. So what book have I read that's amazing, you ask? 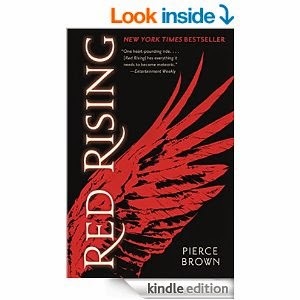 I give you, the Red Rising series by Pierce Brown. AHHH! These books are so good! They are like Star Wars meets Hunger Games meets something else entirely that I can't think of because I am not a book reviewer. I should mention I even got the Star Wars meets Hunger Games from another site I read about the books... but seriously, they are so good. SO SO GOOD. And Only two of the trilogy are out, and I am not going to lie, you will be ANNOYED when you finish book two because of the WAAAAITING. But don't you want to get on this bandwagon early? DON'T YOU?? (You do.) 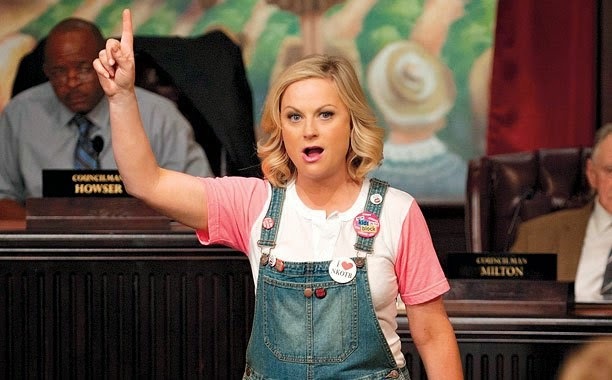 So read these books, then come tell me you read them so we can taaaaaaaalk about them. So, what else? 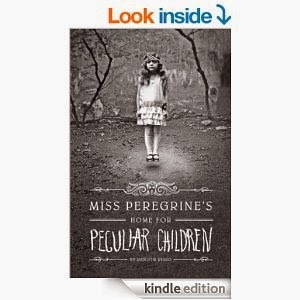 Well, I read the first two books in the Miss Peregrine's Home for Peculiar Children series and they are both good. 4/5 stars, totally worth reading but not worth forcing me to write a blog post about them. They fall in line with lots of other books I enjoy, so it makes since I would like these. They have some weirdness/magic like events, they involve young adults and children, they have a British component and a time travel component... right up my Alley really. 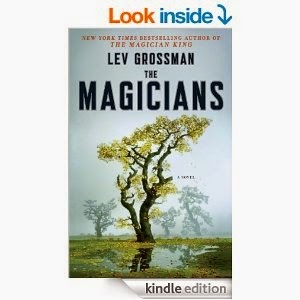 I read The Magicians trilogy, which is also really good. As I started it I assumed each book would be a year at a magical school (because that's how you write books about magical schools!) but that isn't the case at all. It moves quickly and has lots of things I for one never saw coming. It's an odd combination of Harry Potter and Narnia, but it's all grown up and twisty. Definitely worth reading. 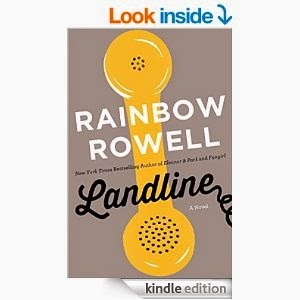 I also read Landline, which was good, but not even close to my favorite book by Rainbow Rowell. But Rowell is pretty much always worth reading. Just start with Eleanor and Park or Fangirl. 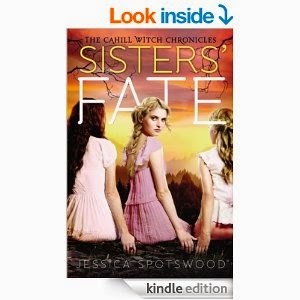 I also read the final book in the Born Wicked series, and was sorta disappointed. I think it had to do with a personal connection I made to the three sisters, and it just became a little hard for me to read. Plus, I had this one issue with this one aspect of the story... this is all very vague if you haven't read it... 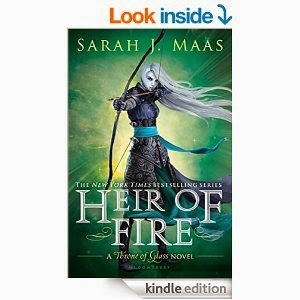 I guess my overall thought is the series is worth reading, even though I liked the first two books better than this last installment. 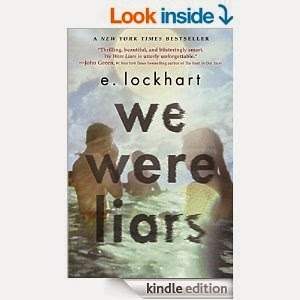 I also read We Were Liars, which had rave reviews, but I just thought it was okay. I mean, I see why other people liked it. It just wasn't for me exactly. 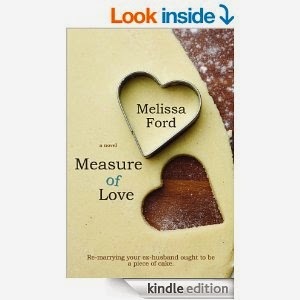 I also read The Book of Life, The Husband's Secret, and Lucky Us (I am tired of loading book covers...) All just okay. None worth recommending. Clearly I had a pretty bad book slump through the second half of 2014... no wonder I haven't done a reading corner post in awhile! I have been working a lot lately, so I made the decision Saturday night to not think about work at all on Sunday. Turns out it was a really great idea. Nick actually had to go in to work for a bit to get stuff ready for his students (we are quite the pair) but Henry and I stayed home and spent the day together. We did an entire Lego set, and I basically just held the directions while he put the castle together. 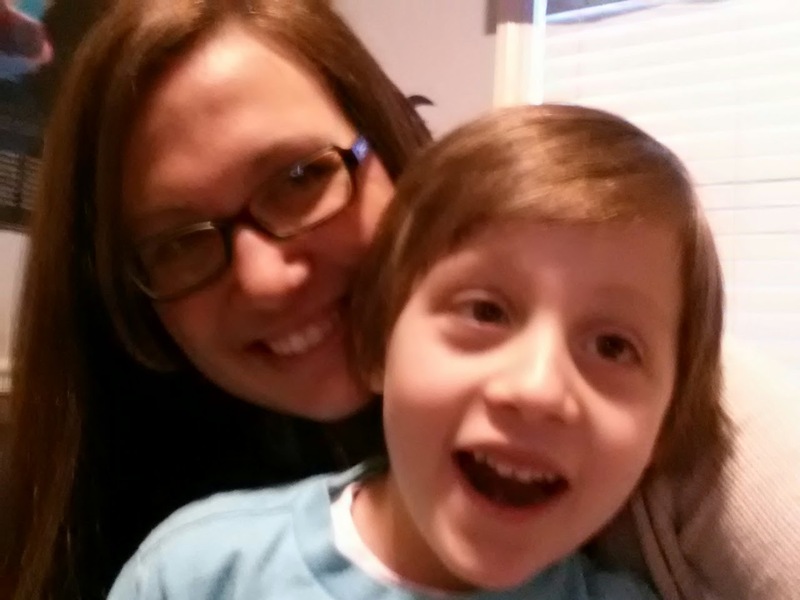 We played My Singing Monsters and Minecraft. We laughed and talked and just spent time together. I asked him what his favorite song is, and he said "Rivers and Roads... NO WAIT! The Zelda theme song" So I looked on Pandora to see if it could make a station based on the Zelda theme song. It could and it was awesome. We also cleaned the house and did laundry. I finished a great book and he played the Wii U. Nick came home and made homemade pizza and a flourless chocolate cake. We ate a lot of chips and dip and watched some football and cursed the Patriots. All in all, it was a perfect sorta day. 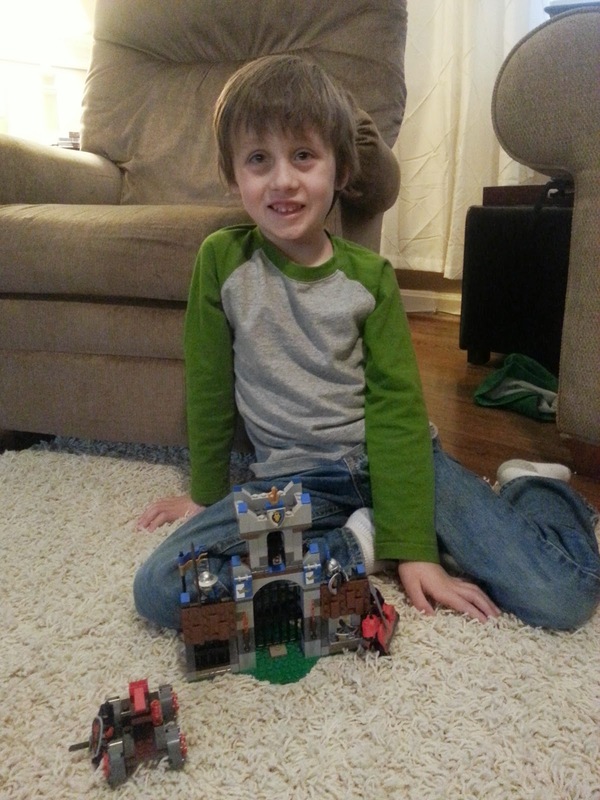 Someone was really proud of his lego castle.